ABC challenge: Essence Romeo | Light Your Nails! ...e Romeo me lo sono perso! E' il colmo, oltretutto, perché ho Juliet. Sì...glitter. Io. Devo aver bevuto quel giorno, non me lo spiego altrimenti! Ad ogni modo ho diversi grigi che adoro, sia creme sia shimmer sia holo...sarebbe troppo lungo da elencare! Io invece ne ho due versioni di Romeo! L'altro è shimmer! Don't you hate when there's no name or label? 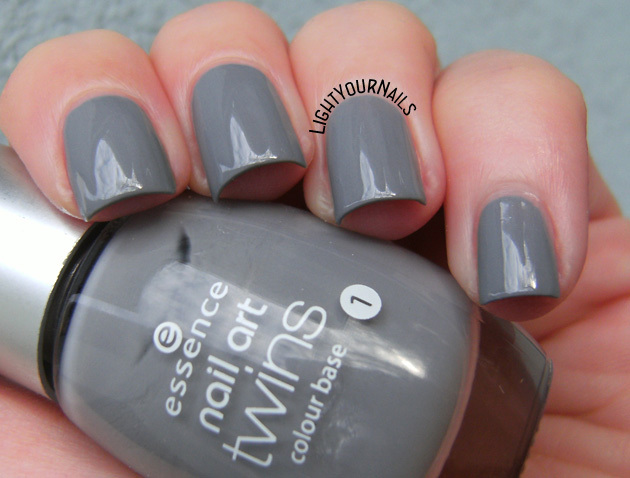 I love grey nail polishes too and this one makes no exception! come grigio lo trovo bellissimo, credo di averlo simile in Kiko e pupa ma non uguale. I love this gray so much that I bought two sets of this pair (Romeo and Julia). That gray is just right! And I love the sparkly Julia dabbed on thinly. I was SO disappointed when Essence brought the same-named Romeo back as a purple when they did the Reloaded twinsets and then paired it with a Juliet - not at all the same! The reloaded twins were such a disappointment for me, too! The original ones were all lovely and with perfect formulas! 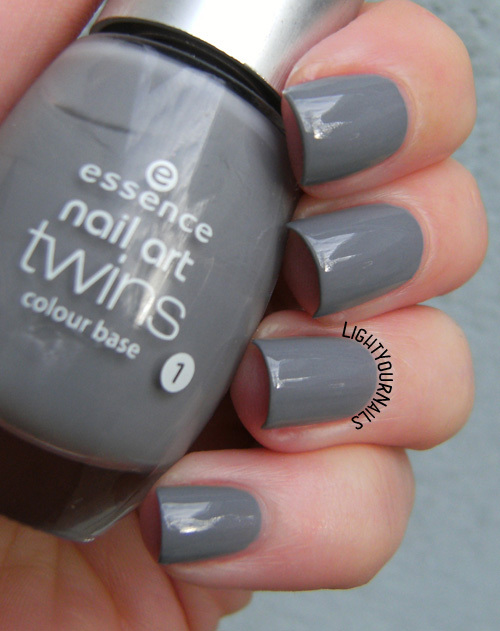 I love this kind of grey polishes. Really nice color. It looks very good, I like this grey. T'invidio un po per quanto ti sta bene il grigio! trovo questo colore molto chic, ma su di me la più parte dei grigi fanno proprio schifo, non mi chieder perché, semplicemente non vanno! Se penso a quanto tempo si perde a stendere degli smalti di poca qualità! I agree! Grey works great as a neutral! Oh that IS an oldie indeed! But it looks great on your nails! I know Deborah but I so prefer Essence old polishes to the new ones!